On 6 June 1908 NDL’s Prinz Friedrich Wilhelm left on her maiden voyage, Bremen to New York, via Southampton and Cherbourg. 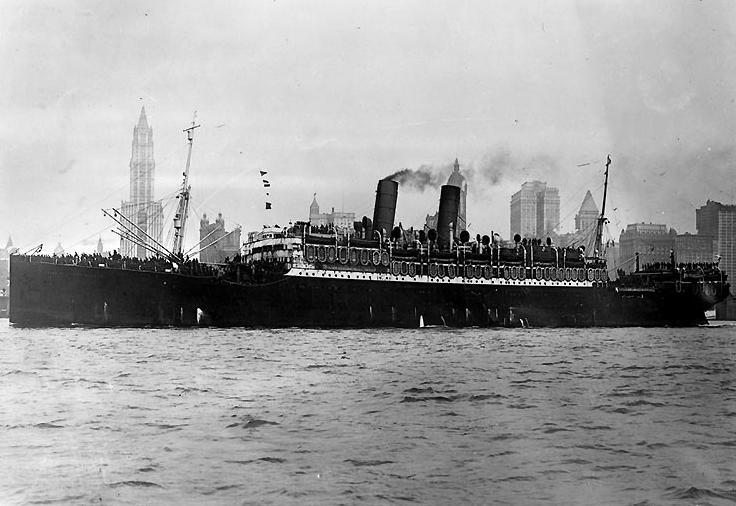 The liner served happily and uneventfully until the start of World War I. She was parked in neutral Norwegian waters for the duration of the conflict. USS Prinz Friedrich Wilhelm bringing home troops. Ironically, the liner ended up in the hands of Washington bureaucrats shortly after the war’s conclusion. As an American transport vessel, USS Prinz Friedrich Wilhelm (!) made five trips between France and the US, carrying over 15,000 US Army troops and other passengers. In 1921 the liner was acquired by Canadian Pacific, which renamed her Empress of China and, soon thereafter, Empress of India. She later was renamed Montlaurier, then Monteith and, finally, Montnairn. 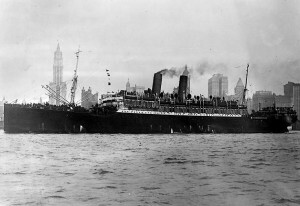 In December 1929 the many-named liner was sold to a breaker. Soon thereafter she was scrapped in Genoa.